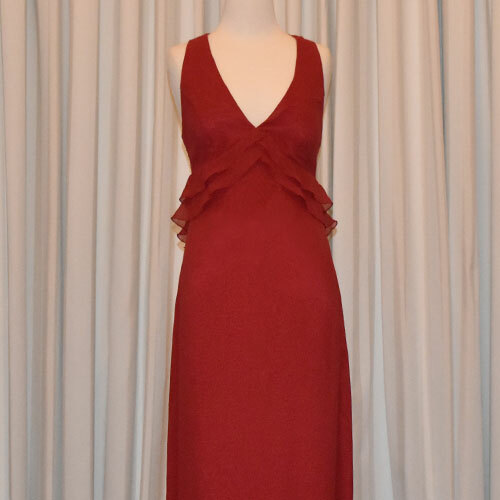 This gorgeous red dress is made from a quality chiffon. 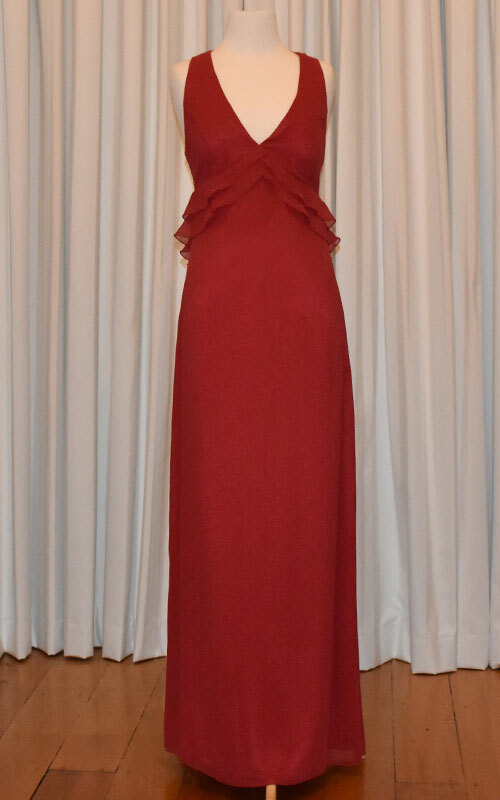 This evening dress is just perfect as a bridesmaid, attending a wedding, work function, even a formal. 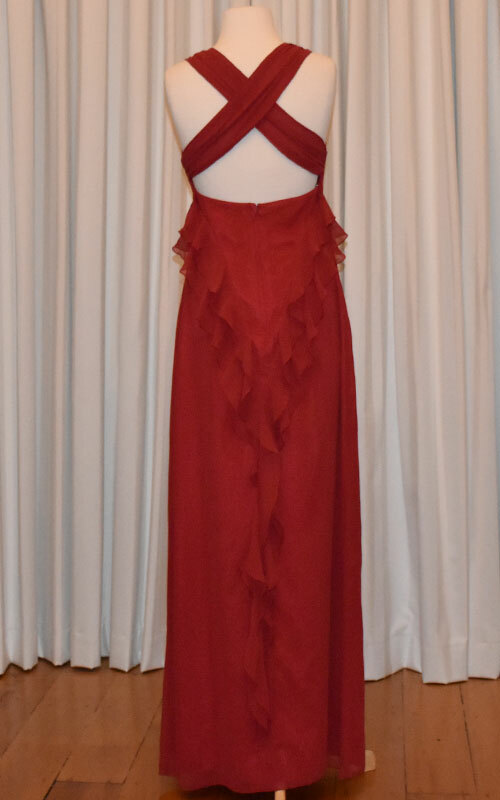 It’s such a versitile dress, you will wear it again and again. It features a stylish low back with cross over straps.